Aggregate Industries has strengthened its asphalt and ready-mixed concrete division with the high-profile appointment of new Head of Business Development, Joanne Wilkins. A rising star in the construction industry, Joanne brings with her an extraordinary track record of successfully delivering product development and growth strategies, having spent over 11 years with construction giant Carillion, most recently as Product Development Director. Already active in her new position at Aggregate Industries, Joanne is tasked with driving sales and development of the firm’s market leading asphalt and concrete performance products, as well as spearheading the growth of value added services. With Aggregate Industries recently named as ‘Endorsed Employer of Women’ by WORK180, a pioneering jobs platform that pre-screens employers to ensure they support women’s careers, Joanne is passionate about supporting the company’s ambitious plans to build a more inclusive and diverse workforce. 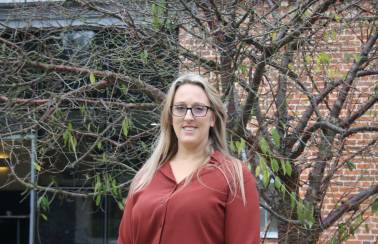 Commenting on her appointment, Joanne said: “I am delighted to join the Aggregate Industries team and look forward to further developing the strong, customer focused culture that the asphalt and ready-mix concrete business is already renowned for. My focus will be on collaborative planning, bringing both teams closer together and using our in-depth market and product knowledge to drive sustainable growth opportunities.